Click here for your free property appraisal, complete the form and we will get back to you to arrange the appraisal. As an independently run family business for over twenty years, we pride ourselves on the service we offer. What makes the difference? Competitive Fees – We always ensure our commission rates are competitive yet still offer a quality service second to none. Local Knowledge – As one of Enfield's	longest established independent estate agent we have unrivaled local knowledge and experience in dealing with all types of properties in the local area. Maintaining Standards – Whitehouse are members of The National Federation of Property Professionals (NFOPP) and The Ombudsman Scheme meaning our standards and integrity must be of the highest order. Choosing a solicitor is like choosing an estate agent. 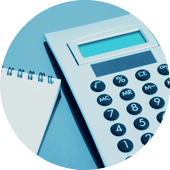 You need to weigh up their costs against the service you are likely to receive. A good or bad solicitor can often make a huge difference to the timescales of your move. At Whitehouse we have a number of local solicitors we can recommend having built up relationships with them over many years. An Energy Performance Certificate must be in place before we can begin to market your home. By this time Whitehouse will have produced a colour brochure complete with internal photos which will enable us to start posting and emailing to potential buyers. A For Sale sign will be erected outside your home ( by agreement) and all appointments will be accompanied at a time convenient for you. We will then report to you with feedback from the viewings. Whitehouse will inform you both verbally and in writing about any offer received for your property. We check into the potential buyers’ situation, whether they have a property to sell, if it has sold, how far it has progressed, their timescales as well as checking their financial situation making sure they can obtain the mortgage required. We will then discuss all the above information with you allowing you to make an educated decision on whether to accept the offer or not. We will always offer you our thoughts and honest advice but ultimately it is your decision. Once you have accepted an offer you will need to instruct your solicitor. Whitehouse will write to them with all the information they require whilst keeping in regular contact with all parties involved making sure the transaction progresses as smoothly as possible. Once the buyers' mortgage offer (if required) has been confirmed and all enquiries including searches have been agreed, you and the buyers will sign contracts. At this stage Whitehouse will liaise with all parties to agree a completion date. A deposit (normally 10%) is paid and you will exchange. This is when the sale becomes legally binding. Search our database of properties for sale in Enfield and surrounding areas.